Smartphones are the device people use the most these days; even most of the computing requirements are fulfilled on the smartphones these days. A security app can provide protection against malwares, unauthorized access, data theft etc. for no money or an amount next to free. 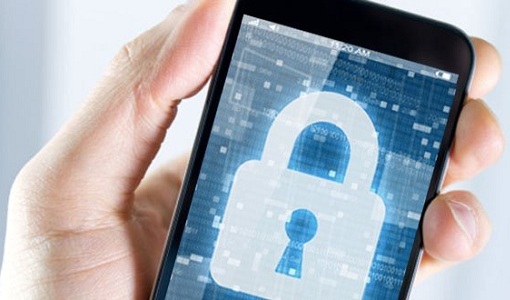 We have enlisted top 10 security apps for smartphones in this article. GadgetTrak is very useful in a sense – that it doesn’t only track the person who snatched your iOS device but also takes a snapshot and uploads to the GadgetTrak account so that you can contact law enforcement with a picture of the thief. Other than that, the regular location coordinates of the device will be updated time to time and user can get a hold of their lost or stolen device using this feature. GadgetTrak costs $3.99. Avast’s computer programs are very popular for their simplicity and functionality, and the smartphone app comes with a great deal on security features. The best part is – Avast! Mobile Security is free but the features are still top-notch like some other top rated apps. Real time malware protection, firewall, privacy reports, web shield protection, device tracking etc. all are included within the package! Symantec’s Norton Mobile Security Lite is another mobile security program from a reputed company; and this one also comes for free in Google Play Store. There’s no iOS version available yet, doesn’t look like one would be there pretty soon. Norton Mobile Security Lite blocks viruses, prevents phishing, tracks smartphone in case of a theft etc. F-Secure supports a diverse range of smartphone platforms – Android, Windows and Symbian but unfortunately, no iOS or Blackberry support. The core features are – malware protection, parental control, safe browsing, location tracking of the device, call and SMS blocking, identity protection etc. Kaspersky Mobile Security is supported by Android, Windows Phone and Symbian platforms. The features are anti-malware protection, anti-theft, mobile tracking, privacy protection, parental control, data encryption etc. Disabling a stolen device remotely won’t take much workaround, it’s a perfect app for protection. Kaspersky Mobile Security is available for $9.95/year on sale. Platform wise, McAfee Wave Secure supports almost every OS out there – Android, iOS, Symbian, Windows Phone, Blackberry and even the basic Java based phones. Necessary features are available as standard – malware protection, data backup & restore, lost device tracking, remote tracking and device wipe etc. Price – $19.99/year. iHound is basically a tracking app, apart from tracking a lost or stolen device the user could even track friends and family members as well. Remote device wipe feature is available on Android. Geofencing feature on iHound is useful for people with security concerns. To remotely access a smartphone an account with BullGuard would be enough; and the Mobile Security Manager app would provide a whole lot of additional features using the smartphone GPS module. The security module includes firewall, anti-spam filter, anti-spyware etc. Snap Secure Mobile Security backs up the data stored on a mobile device automatically on a regular time interval; thus no data will be actually lost even if the device is. There are anti-virus and anti-malware features as well. All new installed apps would be scanned for threat. A lot of people would put their ‘best’ votes on Lookout Mobile Security for the best mobile security app on both iOS and Android platforms. The app protects a device from malware attacks and the amount of phone tracking features are just plenty! Lookout can locate a lost smartphone on Google Map even without the GPS module turned on. Don’t regret if your device ever gets lost or stolen, install a security program beforehand. Buy a premium version if you can; the free versions do a great job as well.